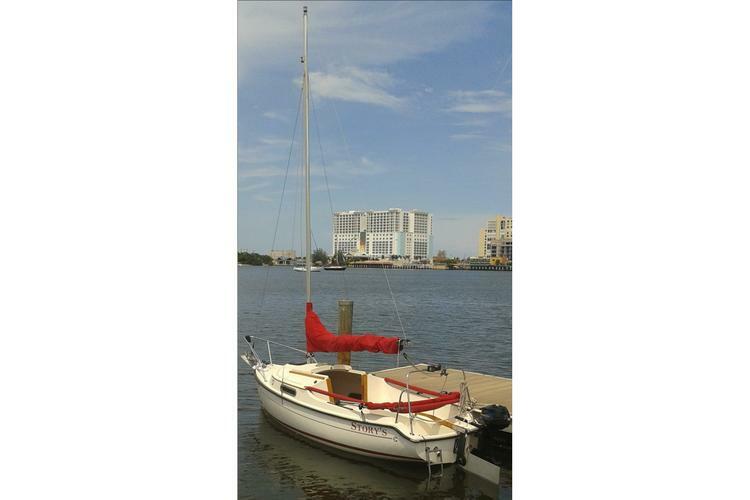 The perfect daysailor for South Florida!!! The Com-Pac Legacy is ideally suited to South Florida. 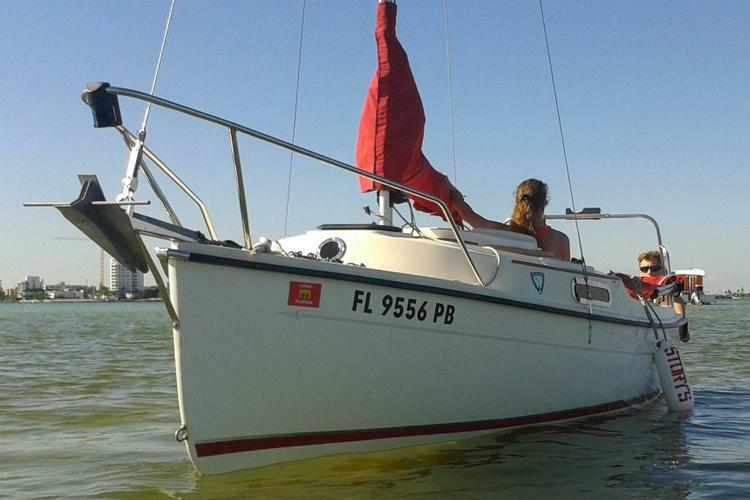 With a spacious cockpit and pleasant cabin it feels like a much larger sloop yet it can sail in the shallowest of waters. Manufactured in St. Pete, on Florida's west coast, the Legacy is perfect for our local conditions. It is fun, easy and safe and guaranteed to provide an afternoon of enjoyment. To see South Florida authentically one must glimpse it from the water; Story's provides the perfect platform to enjoy that view. 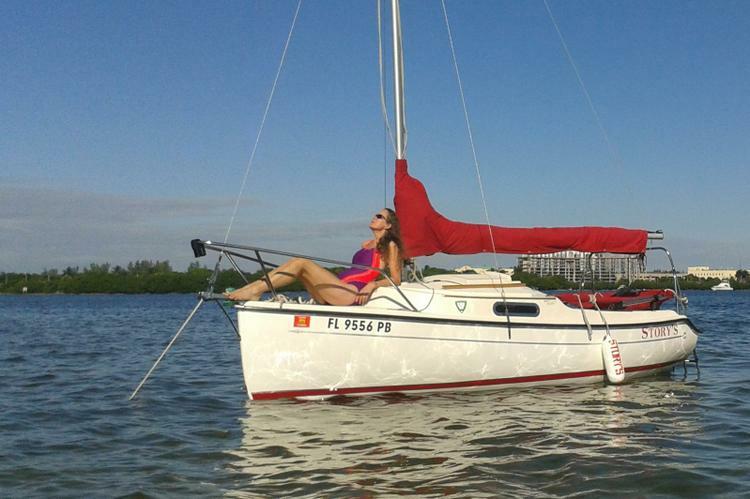 Whether on Biscayne Bay or the ICW (Intracoastal Waterway) you are guaranteed to have a fabulous time. Best of all is the ease of rigging and trailering; this allows for you to embark from a multitude of locations in Miami or Broward Counties. Enjoy a day sailing and have a lunch at one of the fabulous restaurants which dot the ICW, like the locals do! Welcome to one of the most famous year-round boating destinations in the world! Hop aboard your yacht charter in Miami Beach, FL and enjoy this amazing floating playground for both beginners and experienced sailors. 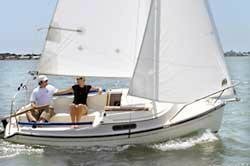 The boat rental in Miami Beach, FL you have selected is a Com-Pac Sail boat - a popular choice to explore the natural beauty of Florida’s coast. Sailing on a FL, Miami Beach yacht charter is an experience you should not miss if you decide to visit the boating capital of the world. Picture yourself on romantic sunset cruise on this FL, Miami Beach boat rental, or having fun with your family or friends on a sightseeing tour along the coast. For more ideas about things to do on your boat rental or yacht charter in Miami Beach, FL, make sure to check our destination guide for Sailing in South Florida! We invite you to browse through hundreds of Sailo boats perfect for sailing in Florida, and choose the dream Sail boat rental or yacht charter for your nautical adventure. Whether you are looking to spend a relaxed afternoon on a classy motorboat or sailboat, or have a fun on a sporty catamaran, our team here to make sure you will be making the best out of your time on the water. 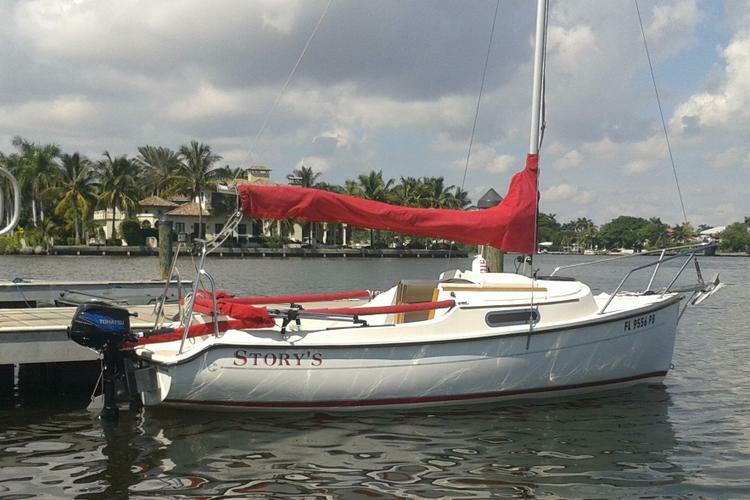 For details about this Com-Pac 16.0 boat rental in Miami Beach, FL, or to make special arrangements for your trip, please click on the “Message Owner “ blue button to send a direct message to the boat representative.